Deir Qal‘a (or Deir Kulah) is located at the edge of a precipice, 370 m above sea level, on the northern banks of the Shiloh River, southwest of the Peduel settlement and some 1.5 km east of the village Deir Balut in western Samaria. Its elevated position afforded it control over the surrounding area and several junctions of secondary roads that crossed the riverbed and connected southern Samaria and northern Benjamin with the Coastal Plain. Deir Qal‘a is mentioned frequently in historical sources, often described as a Byzantine monastery due to the remains of a chapel found at the site, along with building stones bearing incised crosses. The nineteenth-century scholar V. Guérin describes an impressively fortified monastery and dates its founding to the fourth–fifth centuries CE. Early twentieth-century British surveyors, the first to map and draft a plan of the site, characterize the finds as a fortified castle and monastery of the Byzantine period. The 1968 survey of Ephraim and Manasseh suggests that this was a large manor house of the same period, a proposal supported by contemporary scholars and surveyors. 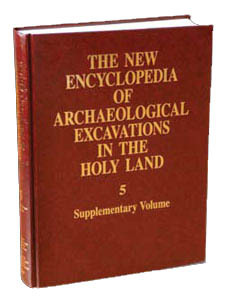 Three seasons of excavations were carried out during 2004–2005 by Y. Magen and N. Aizik of the Staff Officer for Archaeology in Judea and Samaria, with the purpose of clarifying the connection between the fortified building and the chapel and other Christian remains at the site.